With how much of a push companies are making these days toward cloud-based storage, is it really a wonder that phones are still being sold with an infuriatingly small 16 gigabytes of space? When it comes to the actual cloud storage itself, we have to worry about the payments those storage services ask for as well; missing one could inevitably mean that we’d lose what we’d have stored for good. It’s a business model that I’m starting not to like, and I feel like it’s a poor way to ensure the safety of our backed up pictures. 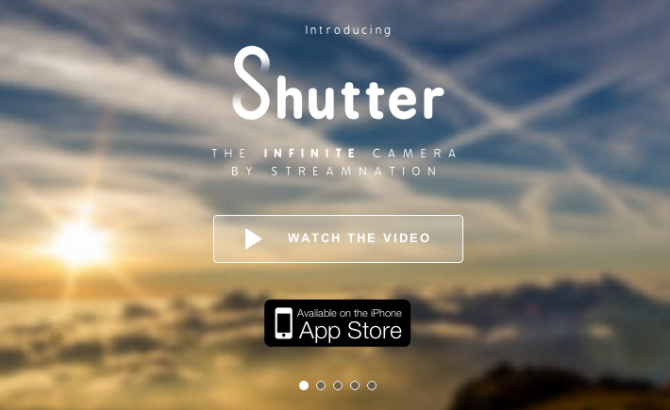 StreamNation is a cloud-based service that’s deciding to do things a little differently; they’ve recently released Shutter, a camera app on iOS that promises us unlimited cloud storage for pictures absolutely free of charge. The app itself is simple: another point-and-shoot interface, but with a different method of storage. With Amazon already promising their customers the same thing if they buy the newly announced Fire Phone, it seems like more companies are starting to take cloud-based storage as a norm, instead of keeping it an exclusive. So far I’ve seen Flickr offer each of its customers one free terabyte of storage, and that’s the best deal i’ve come across until this. For all the iPhone users out there, check out Shutter at the App Store and give it a go. With the limited amount of space Apple provides already with iCloud, this service might catch on. What do you think about StreamNation’s decision? Should more companies start offering cloud-based storage like this, considering it’s becoming a complete alternative to other ways of backing data up? Drop by and let us know what you think! So when they go bankrupt in a year and all your photos are deleted, what then?